One of the things I like most about blogging and writing books is getting feedback from readers. My favorite part of the day is opening my inbox and seeing comments and emails from people who’ve connected with and enjoyed my work. But for each person who takes the time to contact me and write me a note, there are hundreds more who are sitting there quietly listening to what I have to say. I know this because I can see the page view counter on the MercuryStories stats screen. If you own a blog too, you understand what I’m talking about when I say that I spend a lot of time squinting at bar charts and search engine terms trying to figure out who on earth my readers are. I gotta say, it’s hard work. There isn’t much to go on. I ask myself questions like, If they typed in “sensitivity to mercury” in quotes in Google, does that mean they already know I have a post by that title, or it’s just a coincidence? There’s no way I’ll ever know. I have a lot to say about the mercury poisoned life. And I agree with my climbing average page view counter, I’m pretty darn interesting. But this was never meant to be a monologue. 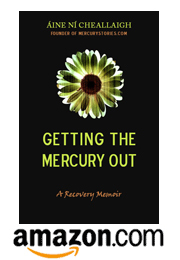 I started my blog and published my book because I wanted to start up a conversation about what it’s really like to recover from mercury poisoning. I’ll keep on blogging and writing as long as you keep showing up on my stats screen. But I gotta tell you, the curiosity is killing me. Who are you? Why are you here? Are you ready to talk about it? Did you just stumble on this site while writing a paper about the planet mercury? Or are you in the throes of frequent dose chelation? Are you identifying with what I’m saying? Have you lived with mercury in your body and brain? Is there something you wish I’d write about because nobody ever talks about it, but you know for a fact every single mercury toxic person is struggling with it? Just thought I’d ask the direct question. It’s a better strategy than staring at the stats screen, psychically urging your search engine terms to shoot me an email. Don’t you think? My email address is mercurystories@gmail.com. This is true. I was listening to the radio on Saturday. They had a call-in for people to tell tales of the strangest thing they ever did break or smash. A nice old chap from up north called in. He was an engineer and his job was to de-commission factory equipment. He told of the time he de-commissioned a big old machine that was full of mercury. He didn’t know what it was, just that it was full of mercury. Something got stuck, so he decided to climb up and proceeded to jump up and down on it to, “free things up”. He heard a huge crash as something big shattered. He looked down and saw a great pool of mercury running and spreading out in all directions below him. He said the memory of the sea of silver below him would live with him forever. He found it quite amusing. The radio commentator found it quite humorous too. Imagine that! Hearing that gem of a story made me wince and hold my nostrils closed as if I didn’t want to sniff any of the poisonous vapour into my lungs. Ouch! No! You hear the strangest things on the radio. I am trying to figure out if my health issues are mercury related and if so exactly what to do about it. I am fearful on getting mercury amalgams removed and then getting worse. I noticed you mentioned your health went dramatically worse months after amalgam removal. Confirms my fears. I know what you mean. There were times when I wondered why I’d gotten my amalgams out–wouldn’t I have been better off if I left them in? But the frustrating truth was that I would have gotten progressively sicker if I’d kept on being exposed to mercury, it would have just kept on accumulating in my body and brain. I was also unlucky that I didn’t know that I was mercury poisoned during that crucial automatic detox or “dump phase” that follows amalgam removal. If I’d gone into this with my eyes open, I would have been equipped with the right supplements and chelators to make the whole thing a lot less painful. I hope that the info/books/links here help you figure things out. I ordered your book and it sounds familiar! I am in such a tight spot health wise and unable to take any supplements without crzy side effects, not sure how I could get through chelation. I have already dealt with years of candida and rashes that I am truly fearful of the repercussion of amalgam removal. I absolutely don’t trust docs anymore, even the holistics. I m just in a holding pattern trying to figure out what to do. I am wondering if going slowly with amalgam removal might be easier on my body but…..I have no idea. The contradictory information out there is just so overwhelming. I am having trouble making a decision that I feel good about. Cas, I have heard that taking out one amalgam at a time is a gentler way to approach amalgam removal. Even with all the precautions in place, the body is exposed to a little mercury during the process, and spreading this out over a number of months if you have more than a couple of amalgams makes it easier for your body to handle. Having said that, some people are in a place where they don’t have months to spare and are disabled and need to start getting better now. For them, getting all their amalgams done at once, or over a period of a few weeks, gets them onto the road to recovery faster. However you go about it, I hope you’ll find a dentist who follows maximum precautions (eg as laid out by Hal Huggins in his book It’s All in Your Head). I believe I came here via link on curezone, where I was searching on info related to chlorella…I have tried to take it several times and it made me violently ill. Took me 3 separate tries before I realized it wasn’t salmonella. Im being treated for adrenal fatigue and neuro symptoms and my doc recommended the chlorella. I have high mercury levels, which she believes is at the bottom of this. I look forward to reading more of your blog. All the best! Yes, I have heard that chlorella has the power to mobilize mercury, but doesn’t actually remove it from the body, giving it great potential to make you sick as the mercury gets stirred up. I just wanted to thank everyone who responded to this post. It’s been great reading all your comments and emails. I had my silver/mercury amalgam fillings removed last Friday, 3 June 2011. I am not sure if my adrenals are ok. I thought my bio dentist knows all the preparations for mercury removal— they used a rubber dam and mercury vapor/vaccum and I was under concious sedation. I am not sure what is inside the IV used to sedate me… after reading your blog and the other links from your site, it seems I have a lot of things to learn… specially about the dump phase. Can you give me a brief run down of what I should expect and do? Will appreciate it. Btw, I am maintaining a blog for my mother’s fight with breast cancer. She had dental clean up and TMJ therapy as well. Congratulations on getting your fillings removed. That’s the most crucial step of mercury detox. Permanent healing can’t be expected until mercury exposure ends, so good work! I don’t know if you’re familiar with Andrew Hall Cutler’s book Amalgam Illness? I wasn’t when I got my fillings out, and so, as you’ll read in my book, I had a very dramatic dumping experience in the year following amalgam removal.But people who follow Cutler’s chelation protocol report having a much easier time during the dump phase. I highly recommend looking into this if you are worried about symptoms flaring up in the coming months. After going through mercury detox, it becomes easy to spot the symptoms in others. Especially once you realize that anyone with amalgams in his mouth *is* mercury toxic. But the pro-amalgam conditioning is so pervasive that few people, even our friends, will believe what is obvious to us. How then can we be the best possible friend to such people? Do we simply leave them to the tender mercies of doctors who refuse to believe, and in any case are utterly unequipped to deal with mercury? Or do we drive the point home at the risk of alienating our friends? I just this week learned that indeed I have a high mercury and lead toxicity load. Not sure that the test we used was the best – it was a DMSA provoked six hour test but instead of urinating over a six-hour period, I took the DMSA pill at bedtime and then tested my urine in the morning. I will ask my doctor about it. Anyway, I’ve spent the past two and a half years learning everything I could about recurrent miscarriages and now it looks like I have a whole new research project. I am 41 years old and we need to decide whether to try and get pregnant before having my fillings removed or to remove my fillings first. It’s a very hard time for us with this. I haven’t even starting thinking much about the lead beyond knowing that we really need to install a much better water filter for our pre-war NYC Bronx apartment. I am much more worried about the mercury. Right now something that really upsets me is that most people I know seem ready to sympathetically listen to me if I want to talk to them about in-vitro fertilization and other means of artificial reproductive technology – which they don’t seem to understand or ever remember that I am not doing. I am pursuing a very natural, holistic path on my fertility journey. When I start talking about my concern about toxicity and specifically my amalgam fillings, they immediately either challenge me or clam up and switch the subject. Infuriating. Thanks for listening and for having this blog. I look forward to your book but right now I am so broke from the series of out of network treatments I’ve been having that my purchasing it will need to wait a while…. The issue of timing a pregnancy with heavy metals in the picture is a very tricky one. A big reason why I wanted to write my book was to make people aware of how mercury behaves in the body in the year or two following the removal of the last amalgam. Falling blood mercury levels trigger a huge automatic detox reaction that causes stored mercury to get dumped into the bloodstream. Right after amalgam removal is basically the worst possible time to get pregnant, and yet many do because they feel that the mercury has been removed and is no longer a threat (and also, fertility is often restored when the amalgams are gone). Do you know any specific resources that might help me navigate this particular issue – pregnancy, fertility and mercury? Either people, books, sites or anything else? 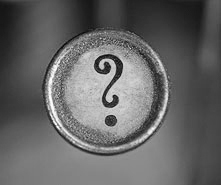 Which is worse – to risk birth defects, miscarriage, etcetera, or to get everything removed and risk aging out of even being able to try anymore? I am 41 years old and even though I haven’t ever had trouble getting pregnant, I might eventually. I could go through removal of my amalgams, a year or two of detox and this dumping, and even though it will obviously be better for my health in the long-run, there’s absolutely no guarantee it will help us have a biological child. Yes, I would recommend visiting the Autism Mercury Yahoo Group. There you will find many women who have been through this issue and can share their knowledge and experience. Thank you for this site! I’m a breastfeeding mom of a 5 month old. I have a broken amalgam that must be replaced soon as i’m entering into that tremendous pain phase. i’d love to wait until he weans but that just doesn’t seem possible as he’s violently allergic to some foods….we may be extended nursers. I have a dentist who said he wouldn’t drill the amalgam itself, but cut it (or drill) out by cutting the tooth around the filling and then fit me for the crown i need. he’s also willing to give me O2, dental dams etc. what can i do to manage the mercury toxicity to my child? what supplements are breastfeeding safe? I’ve yet to find any info on this. Thanks! Thanks for dropping by Michelle! One week after mercury amalgam removal plus splint therapy « Nanay Miriam's "re-MISSION"